Anna Pogacnik is a sophomore at Hubbard High School. As a first-year member of the HUB, Anna hopes to better her writing skills by writing about interesting topics for the HUB. She has always enjoyed reading and writing and hopes to expand her knowledge of global events by writing about them. Anna will do her best to write informative and interesting articles for her fellow students. 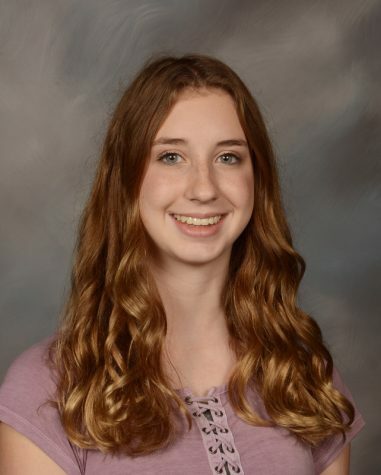 Anna is currently taking three honors classes including Honors English 2, Honors U.S. History, and Honors Biology. This will be Anna’s second year as a member of the Spanish club. She has been a member of the band since fifth grade, and is currently in her second year of marching band as a saxophone player. She also participates in Track and Field. Anna hopes to eventually be accepted into National Honors Society and maintain a high GPA. After graduating, she plans on going to college at YSU to pursue a career as an RN or nurse practitioner.